Amid a lack of fresh drivers so far this week, the Pound Sterling to Euro (GBP/EUR) exchange rate has seen relatively mixed movement since markets opened yesterday. The pair is falling this morning as investors await key data. Last week saw Brexit chaos and Eurozone economic speculation drag GBP/EUR down by around half a cent, from 1.1619 to 1.1567. GBP/EUR also briefly touched on a three week low of 1.1544 on Friday before markets closed. This week so far though, GBP/EUR movement has been more mixed. GBP/EUR briefly jumped yesterday on hopes that a softer conclusion to Brexit wold eventually be met, but the pair trended closer to the week’s opening levels at the time of writing on Tuesday. 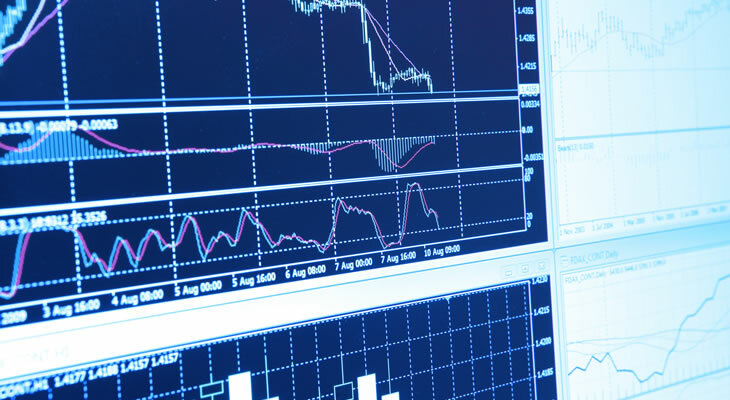 Market movement on both the Pound (GBP) and the Euro (EUR) has been limited, as Parliament being on recess means that investors are more likely to look to UK and Eurozone data for reasons to shift positions. Yesterday, investors bought the Pound (GBP) back in profit-taking from the losses it had seen last week. Investors became a little more hopeful that the Brexit process was more likely to end softer now, as analysts said that last week’s selloff on Brexit uncertainties had been somewhat overdone. However, the Pound to Euro (GBP/EUR) exchange rate only climbed around a third of a cent and had retracted those gains by the time of writing on Tuesday morning. Sterling volatility has fallen to its lowest level in 16 months, indicating that investors don’t expect new major developments too soon. Speculation flared up this morning that negotiations between UK Prime Minister Theresa May and opposition Leader Jeremy Corbyn could fall through, as the ruling Conservative Party is concerned about how negotiations could impact its chances at upcoming European elections. Market expectations for more political uncertainty is keeping the Pound from strengthening too much. As Britain’s latest job market data did little to surprise investors today, it had no notable impact on Pound movement and left investors looking ahead to data due tomorrow and Thursday. Following some modest signs of recovery in Eurozone data in recent weeks, investors are becoming more hopeful that the Eurozone’s economic activity is seeing a positive turn, following months of the bloc being hit by global economic slowdown. Last week continued this month’s trend of Eurozone data coming in slightly better than expected, with Eurozone industrial production beating forecasts on Friday. This made investors even more hopeful that the Eurozone had rebounded from its worst levels. Due to hopes that the Eurozone economy is gradually starting to recover from the economic slowdown, core Eurozone bond yields have recovered and held near their best levels in three weeks ahead of major Eurozone data due for publication this week. Following today’s data, Pound to Euro (GBP/EUR) exchange rate investors will be looking right towards further UK and Eurozone ecostats due for publication in the coming days. UK Parliament being on recess for Easter means that the Pound is more likely to be driven by data instead of political developments. As a result, tomorrow’s key March inflation data from both Britain and the Eurozone have the potential to influence GBP/EUR if they surprise investors, as these figures may influence Central Bank speculation. In particular, the Eurozone’s March inflation rate could bolster European Central Bank (ECB) interest rate hike bets if it prints above expectations. Thursday’s data will also be influential, and Britain’s retail sales figures could have a bigger impact on the perceived resilience of Britain’s economy. Of course, with speculation still bubbling away over the government’s Brexit negotiations with opposition Labour Party, the Pound to Euro (GBP/EUR) exchange rate outlook could still be influenced by any surprising Brexit developments.